List of Problem Chinese Imports Grows Contaminated foods and other dangerous items continue to build an ever-growing list of unsafe products imported from China by the United States. In recent months, the number of unsafe products imported to the United States from China — ranging from seafood and pet food to toys and toothpaste — has grown steadily. Chinese-made products have accounted for more than 60 percent of recalls this year, said Scott Wolfson, spokesman for the U.S. Consumer Product and Safety Commission. So far they have recalled 338 products overall this year, Wolfson said. For the most part, the businesses responsible for the faulty products and bad food have denied the problems, saying their products are safe. After initally guaranteeing the safety of the country's products, Chinese officials admitted Tuesday, after much international pressure, that "as a developing country, China's current food and drug safety situation is not very satisfactory." They had hoped to downplay the safety and health problems before the 2008 summer Olympics, to be held in Beijing. At the same time, officials in Beijing are attempting to clean up the problems. In early July, inspectors announced they had closed 180 food factories in China in the first half of this year, and that they seized tons of candy, pickles, crackers and seafood tainted with formaldehyde, illegal dyes and industrial wax. The U.S. Food and Drug Administration has placed a hold on five types of farmed fish and seafood containing traces of antifungal and antibiotic drugs that are potentially harmful to humans. Federal officials said that repeated tests on shrimp, catfish, eel, basa and dace imported from China revealed the presence of drugs not approved in the United States for use in farmed seafood. 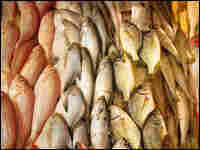 The hold means the FDA is not allowing the import of these types of Chinese farmed seafood until the importers can prove the seafood is free from harmful contaminants. The FDA stopped short of ordering an outright ban because there is no immediate health risk. The FDA said that between October 2006 and May 2007, tests on some imported Chinese fish repeatedly found traces of the antibiotics nitrofuran and fluoroquinolones, as well as antifungals malachite green and gentian violet. The fluoroquinolones are of particular concern. These drugs are part of a family of widely used human antibiotics that the FDA forbids in seafood, in part to prevent bacteria from developing resistance to the drugs. The best known example is ciprofloxacin, an antibiotic sold under the name Cipro that is used to treat a variety of infections. The drug made headlines as a treatment option during the 2001 anthrax attacks. China is one of the top exporters of seafood to the United States. More than half of its global seafood exports are farmed, yet the FDA only inspects about 5 percent of farmed Chinese fish imports. The FDA increased inspection of toothpaste made in China after reports that some of the products may contain an ingredient used in antifreeze. 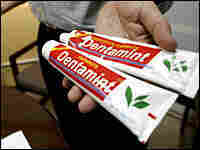 The ingredient, diethylene glycol, is a thickening agent not normally used in toothpaste. The chemical has been used as a low-cost, but sometimes deadly substitute for glycerin – a sweetener commonly used in drugs. Diethylene glycol was found in three products manufactured by Goldcredit International Trading in China: Cooldent Fluoride, Cooldent Spearmint and Cooldent ICE. The FDA also found the chemical in Shir Fresh Mint Fluoride Paste, which is manufactured by Suzhou City Jinmao Daily Chemical Co. The FDA is not aware of any poisonings from toothpaste, but has found that the toothpaste was distributed in some U.S. bargain retail stores, including a Dollar Plus in Miami and a Todo A Peso in Puerto Rico. The toothpaste also was shipped to prisons in North Carolina and Georgia and hospitals in Florida and Georgia. The same chemical found in the toothpaste was blamed for the deaths of 51 people in Panama after they ingested tainted cough medicine. China has said it was the source of the deadly diethylene glycol, but says that it was originally labeled "for industrial use only." In Beijing, local officials banned the use of 10 types of drugs as a result of their makers' exaggerated and false claims. It is unclear whether the drugs have been exported. The drugs were genuine, but the results they claimed to produce in fighting high blood pressure, diabetes and other ailments could not be supported in clinical testing. Beijing stores have been ordered to stop selling them, and media outlets that carried their advertising were told to print retractions. In June, some 1.2 million ceramic heaters made in China and distributed by Lasko Products Inc., of West Chester, Pa., were recalled because of safety concerns. The heaters were a possible fire hazard, due to faulty power cords that overheated where they entered the base of the units. Lasko received 28 reports of failed power cords, including six instances of minor property damage. No injuries have been reported. The recall only affects models manufactured in 2005. 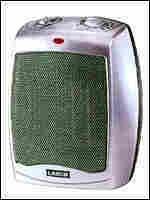 The heaters were sold at major retailers, home centers and discount department stores nationwide from September 2005 to April 2006 and cost $20 to $50. 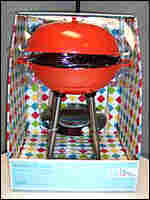 The Play Wonder Toy Grill, also recalled due to safety concerns, is made in China and distributed by Schylling Associates Incorporated, of Rowley, Mass. The 2,300 products recalled posed a danger of laceration. The circular ash tray attached to the stainless steel legs of the grill could contain sharp edges. No injuries have been reported. The toys were sold in Target Stores nationwide from December 2006 to February 2007 for about $20. The popular Thomas and Friends Wooden Railway toys were voluntarily recalled in early June due to the presence of lead in some of the surface paints. The recall was particularly troubling for parents whose children have been playing – and chewing – on the toys for years. The recall affected two dozen items, which amounts to about 1.5 million toys. Imported from China, the toys were distributed in the United States by RC2 Corp. of Oak Brook, Ill. The contaminated toys were sold nationwide at toy stores and various retailers from January 2005 to June 2007 and ranged in price from $10 to $70. Yellow and red paint on the recalled products contain lead. If ingested by young children, lead is toxic and can cause adverse health and developmental effects, including long-term neurological problems affecting learning and behavior. No incidents of lead poisoning connected to the trains have been reported yet. Parents can have a simple blood test performed to check the level of lead in their child's body. The company has not yet said whether they will reimburse parents for the costs associated with the blood tests and any further treatment needed. The company has said it will pay for the shipping of recalled products and for a free replacement. U.S. regulators have ordered tire importer Foreign Tire Sales, based in Union, N.J., to recall as many as 450,000 tires. The company reported that the treads on light-truck radials manufactured by Hangzhou Zhongce Rubber Co. in Hangzhou, China, might separate. Foreign Tire Sales said many of the tires are missing a safety feature called a gum strip, which helps bind the belts of the tire to each other. The gum strip prevents tread separation, which can cause a tire to blow, possibly making a driver lose control of the vehicle and crash. The Chinese-made tires were sold under at least four brand names: Westlake, Compass, Telluride and YKS. The tires, which were sold for use on vans, sport utility vehicles and pickups, have been linked to at least two deaths in accidents involving tread separation. Since the Chinese manufacturer does not have an office in the United States, the importer is responsible for any damages. But Foreign Tire Sales has said it does not have enough money to fund a recall. The small, family-owned importer is suing the Chinese manufacturer – the second-largest tire maker in China – saying it should pay for the recall. 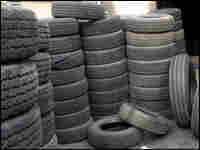 Foreign Tire Sales would have to pay for advertisements announcing the recall, hundreds of thousands of replacement tires, and the environmentally safe recycling of all recalled tires. The recall could cost as much as $60 million. Wheat gluten imported from China was linked to the deaths of pets nationwide earlier this year. The FDA blocked the import of wheat gluten from Xuzhou Anying Biologic Technology Development Company in China, saying it suspected the gluten was contaminated with melamine, a chemical used to make plastic products. The tainted food caused kidney failure in dogs and cats across North America. 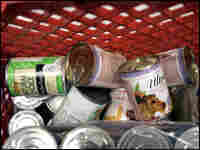 Distributors of the contaminated food recalled several varieties, following the deaths. Menu Foods of Canada recalled nearly 95 brands of "Cuts and Gravy" pet food. Other companies including Nestle Purina Pet Care, Del Monte Pet Products and Hill's Pet Nutrition also recalled some varieties of their food products in the United States. Many pet owners resorted to cooking homemade meals for their pets because of uncertainty surrounding which products were contaminated. Associated Press and NPR reports contributed to this piece.